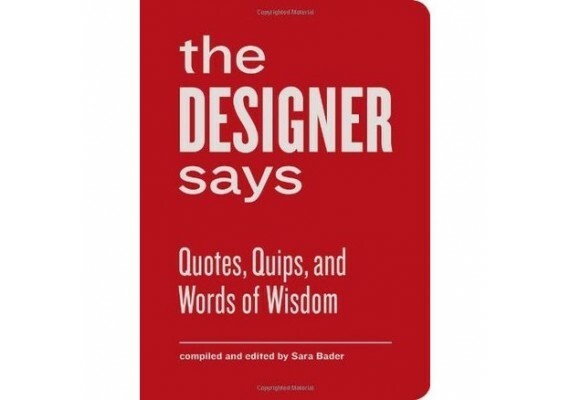 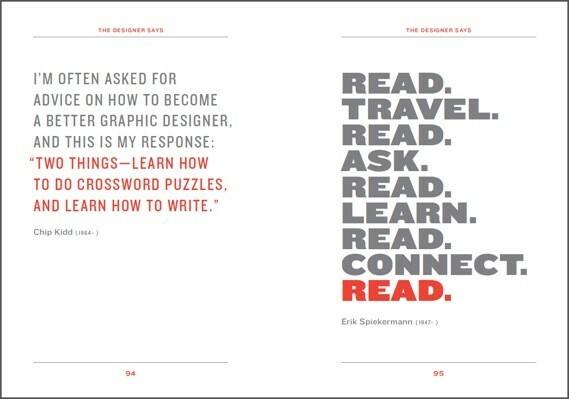 The Designer Says is a compendium of quotations from more than one hundred of history's leading practitioners. 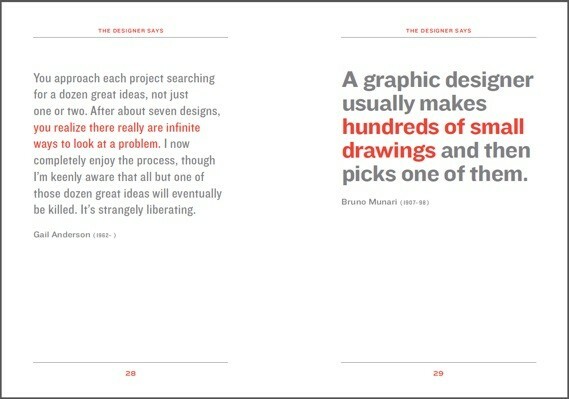 Paired on page spreads like guests at a dinner party. 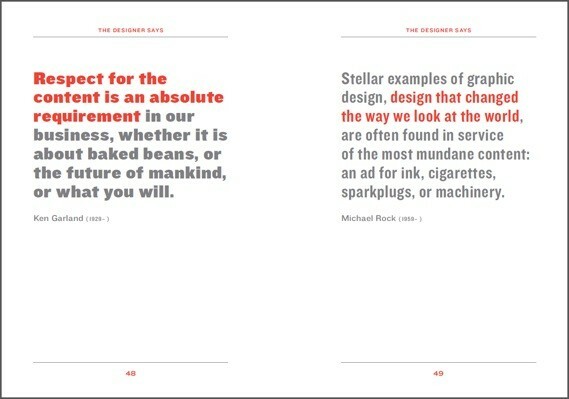 A designer from the nineteenth century might sit next to one working today or two contemporary designers may strike up a conversation. 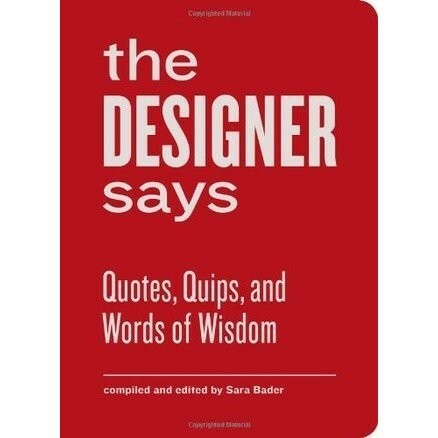 This portable collection makes the perfect gift for designers, students, and anyone curious about the ideas and personalities that have shaped the art of visual communication.